With big laughs, big hats and even bigger dreams, Ladies' Day, now on stage at Wolverhampton Grand, is the light-hearted show we all need to put a huge smile on our faces. 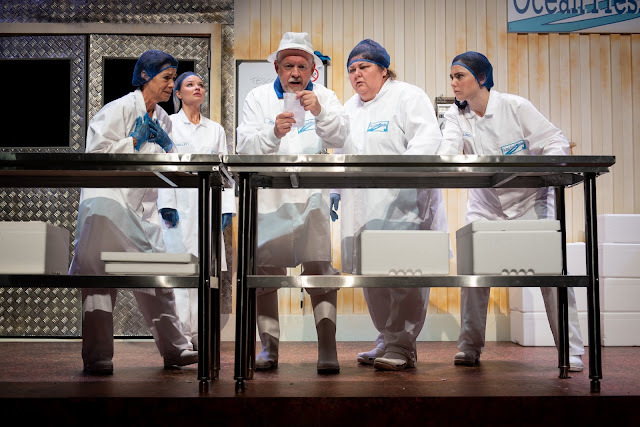 The production follows the lives of four fish mongering women who long for a better life. But they may be in luck thanks to an unforgettable trip to Wolverhampton Racecourse for Ladies' Day. The four women, Jan, Pearl, Shelley and Linda, head along to the races in the hope of meeting famous Wolves players and hitting the champagne bottles hard, only to find that the event is sold out upon arrival - that's until they find four VIP tickets. And that's only the start of the antics for the ladies, and their luck, after they put their money into the Jackpot. Throughout the show, more is revealed about the characters and the audience learns more about the issues each woman is going through, giving us the chance to get to know them more in-depth and relate to them. It is ultimately a tale of friendship, love and hope, and heart-warming scenes take place where the characters come together to help each other through their personal issues. Created by Amanda Whittington, the show was originally based in Hull but has been adjusted to modern day to suit the Black Country for the theatre's summer show, with hilarious references to local pubs, the areas 'posh spots' and of course, the accent. 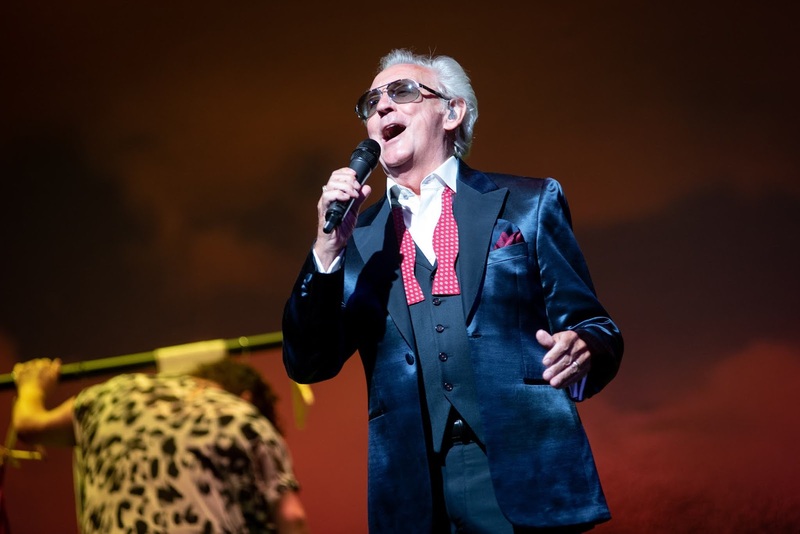 Seventies crooner Tony Christie's music has been the soundtrack to the play since 2005, thanks to his huge comeback with Peter Kay. However, the production's stint in the Midlands is the first time Tony has taken to the stage and it really helped bring a whole new element to the show. Starting the show with his classic hit 'Is This The Way To Amarillo', the singer continues to appear on stage throughout to perform his other hits. At times, it is totally bizarre, but it is also brilliant! 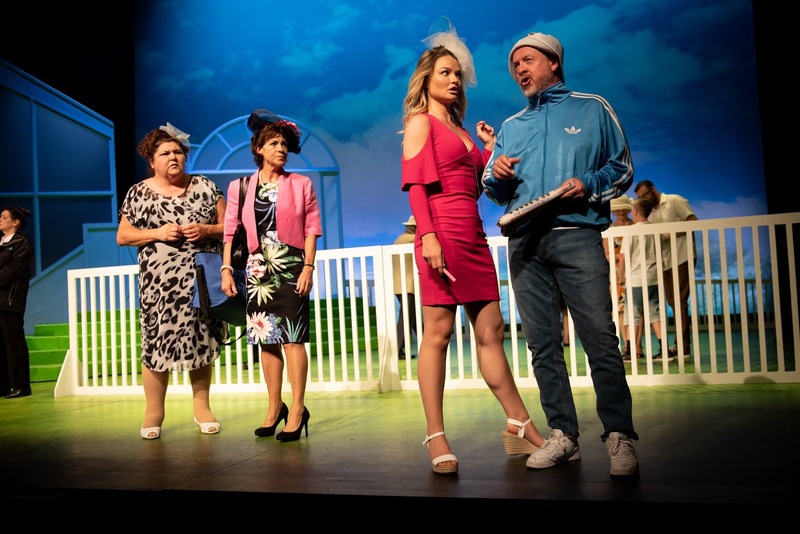 It is a stellar cast, with the likes of Cheryl Fergison taking on the role of Jan, whose take on the role was absolutely fantastic and she was by far the star of the show thanks to her hilarious 'drunken' scene, which I'm sure we can all relate to, and had the audience in fits of laughter. 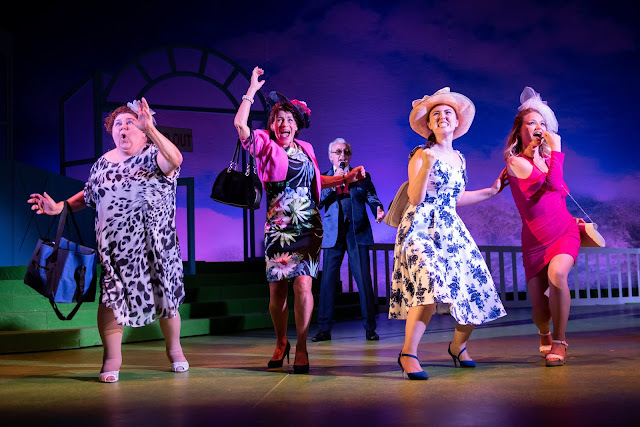 She is joined by Emmerdale's Deena Payne, who takes on the role of warm and kind hearted Pearl, and Roisin O'Neil, whose role of Tony Christie's biggest fan Linda was simply made for her. Emma Rigby, who takes on the role of flirtatious and sassy pocket rocket Shelley, was both funny, endearing and brought a super fun and playful element to the cast. Of course, the cast had to attempt to perfect the Black Country accent. Now, seeing as I do have a Black Country accent, it was easy to see early on who had the gift of the gab, and who...just didn't. Cheryl and Pearl could have been mistaken for being from Wolverhampton themselves, but unfortunately, Emma's take on the accent, despite her really trying, often sounded like a mix between Scouse and South African! However, this only made me like her role even more to be honest and made her more funnier than expected. The set was simple and easily flowed between scenes. Sometimes, the set was a bit small for such a big stage, but it worked well and was as imaginative as possible for a racecourse, without bringing horses on stage! Ladies' Day isn't life-changing theatre, but it doesn't need to be. It's hilarious, super fun and incredibly light-hearted. In fact, on my walk out of the theatre back to the car park, the whole street was singing Tony Christie songs and talking about how much of a great time they had, and isn't that what theatre is really all about? Ladies' Day is on stage at Wolverhampton Grand until Saturday, 28th July. If you're looking for a fun filled evening with a whole load of laughs, don't miss it!